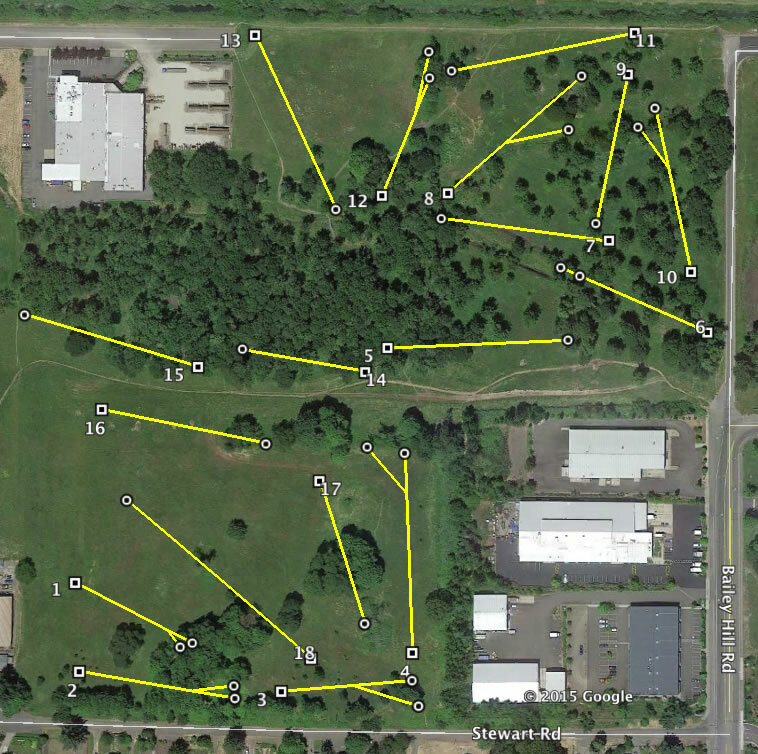 Public course in a Bureau of Land Management natural area with an 18 hole and a 12 hole (winter) layout. Plays up and down a large knoll through a mixed forest. Open dawn to dusk. No alcohol or glass, pets allowed on leash. From W 11th in Eugene, turn north on Bertelsen Rd. to a quick right on Stewart Rd. Parking lot for the course at the end of the road on the left. Follow walking path to the course. 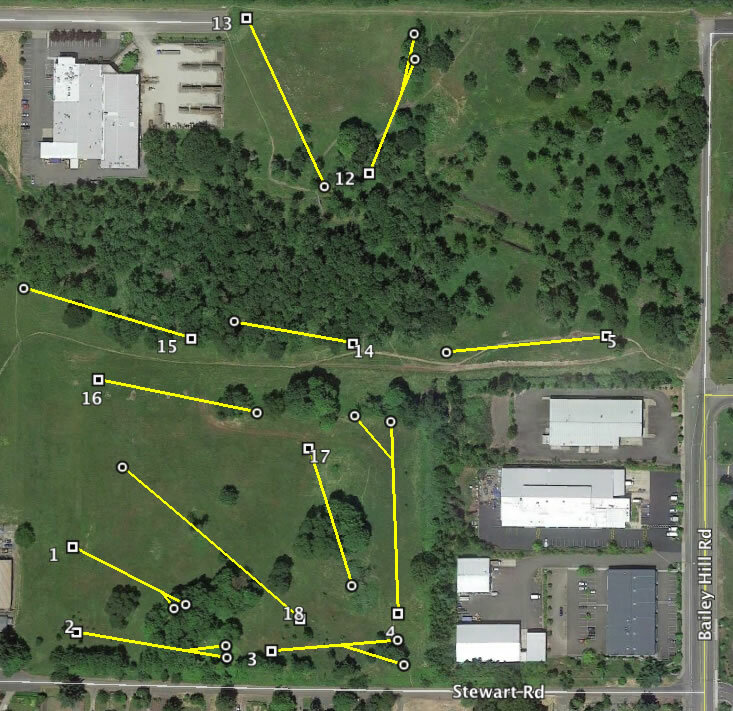 Pretty good course with some elevation change and plenty of trees, but not a lot of variety of shots required. A ton of work has gone into it (thanks volunteers!) and it is getting better with added basket locations and upkeep. It does have all concrete tee pads and nice tee signs. Biggest drawback is that 6 holes are underwater and unplayable in the rainy season and semi-high grass in most places. Great teepads and elevation! Super fun! !